Its kinda funny. 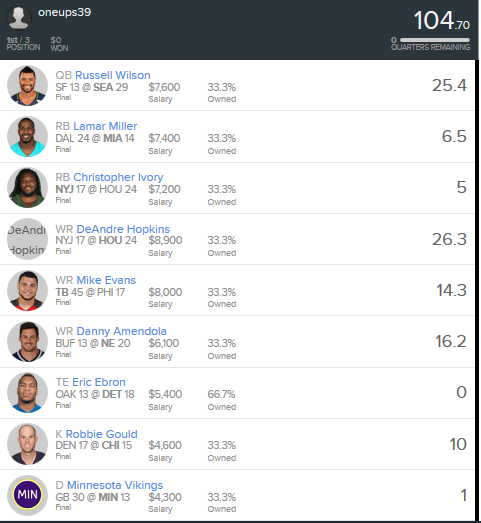 Last week Nick had the best lineup of the week and Ray Cruz had the worst lineup of the week. This week they just swapped spots. 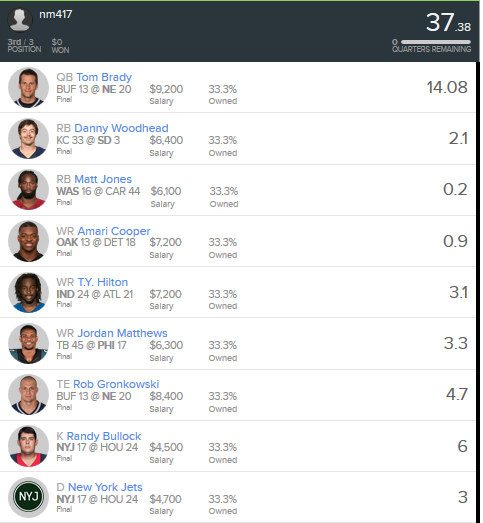 This has to be the lowest Fanduel score I have ever seen and I almost wanted to congratulate Nick on accomplishing this feat without actually trying. Now obviously this just boils down to dumb luck, but still, two players scoring under 1 point.... Sorry Nick.